Are you more likely to buy a new product after seeing an ad directly from a company, or after seeing someone you follow on Instagram actually use it? We thought you might say the influencer … crazy world we live in, right? Today influencers are not just Hollywood celebrities, but regular individuals with large, loyal and highly engaged followings. 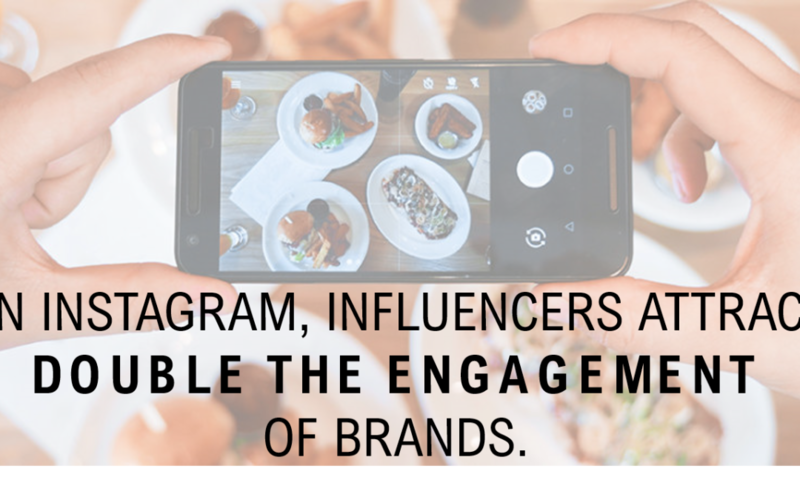 The 2018 Influencer Marketing Report from Business Insider found that influencers on Instagram have double the user engagement rate compared to corporate brands, clocking in at whopping 5.7%. 1. Identify organic influencers who jive with your brand | Just as you target your media pitches, you also want to target your influencer pitches. 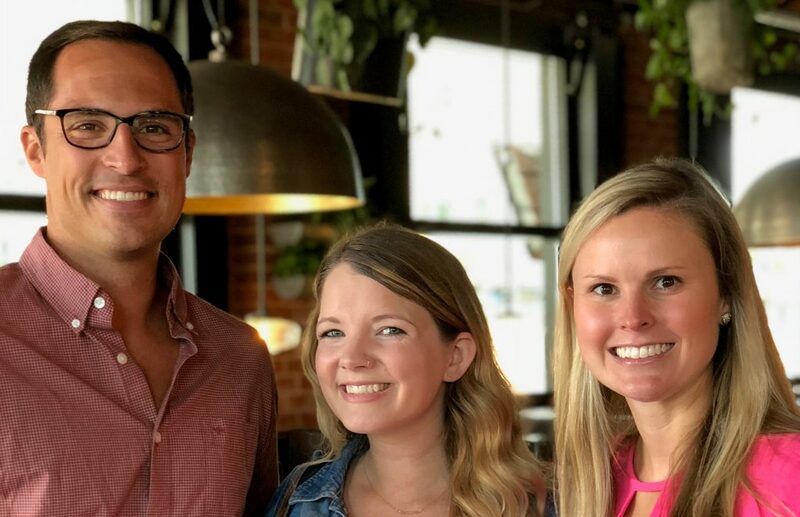 If your brand is kid focused, you want to connect with the mommy influencers; if your brand is beverage focused, you want to connect with the foodie influencers. If the brand and the influencer do not share the same values, then your end result will reflect that disconnect. 2. Do your research, then outreach | An influencer is going to be more inclined to work with you if you show that you took some time to get to know them. Many influencers share personal information and experiences with their followers, making their outlet a vulnerable place for them. Respect this; learn what they care about it and craft your pitch around it. We regularly follow and interact with influencers on our business Instagram account so that we can get to know them better, and in a recent case, catch them enjoying our product organically. In this specific scenario, we reached out, noting that we had seem them enjoying our product already and created a partnership moving forward. Even if they are not currently using your product, reference a recent blog post or Insta Story in your outreach email to show them that you are paying attention and care about the content they are working to provide for their followers. 3. Communication and collaboration are key | Just as in any relationship, the ability to work together openly and honestly are extremely important. Your initial contact should lay out what you are looking for, why you want to work with them and that this is a collaboration, not a sales pitch. Have a direction in mind but trust the influencer’s knowledge of their own audience and allow room for conversation and brainstorming around what type of content would be best. Additionally, be upfront from the beginning about the benefits to both parties and if there are any payments, trade product or other benefits trading hands. You don’t want to get deep into building out the campaign and then realize the influencer was expecting financial compensation you weren’t planning to provide. 4. Provide an authentic experience | The reason consumers trust influencers over traditional advertising is due to the authenticity of their content. They trust that they have used and liked the product they are telling them about and are giving an unbiased review. One of the ways we have been able to give influencers an authentic experience with our product is to host VIP or exclusive events within our client’s stores. This allows influencers to interact, taste, sample, ask questions and feel appreciated for the work they are putting into the partnership. We never let them leave without a goodie bag and the opportunity to pass a similar in-store experience on to their followers in the form of a gift card giveaway – mutually beneficial for both parties. 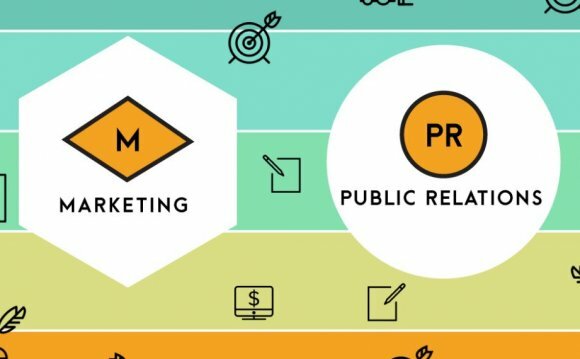 It’s the age-old question, what’s the difference between marketing and public relations? We spend most of our day hereat PIVOT PR explaining this until we’re blue in the face, but today we’re going to simplify and give you an explanation that actually makes sense. Why? Because no one really understands the definitions below, and the lines between marketing and PR are increasingly blurred. Publicrelations is a strategic communication process that builds mutually beneficial relationships between organizations and their publics. Would you agree that these are too vague and don’t really tell you…anything? Consider the following three things when evaluating marketing vs. PR. Marketing exists to drive revenue, while public relations exists to build a reputation. If you pay, it’s typically marketing. If it’s free, usually PR. Rather than seeing them as mutually exclusive, it’s important to understand that public relations is a small portion of all things marketing. Marketing is the holistic arm which supports the 4 P’s: product, price, place, and promotion. In addition to PR, marketing includes things like sales, advertising, packaging, graphic/web design, qualitative/quantitative research, etc. Want to putyour knowledge to the test? Take THIS Marketing vs. PR test and let usknow how you scored! Writing a press release, posting to social media or landing a speaking opportunity … any public relations practitioner worth their salt should be able to execute these tactics. What separates elite PR professionals from the rest of the pack is creativity and strategic planning. Truth be told, the word “strategy” has been way over stated and under delivered in our industry, so we’re here today to do something about it. Let’s breakdown what an effective and strategic public relations plan should look like. These are the pre-determined goals you have for your business as a whole. An example of common business objectives that can be tied to public relations outcomes are customer and employee acquisition/retention, community engagement and public policy. Example: Employee acquisition- hire an additional 15% to your workforce with a focus on mid to high-level employees that have a strong technology background. 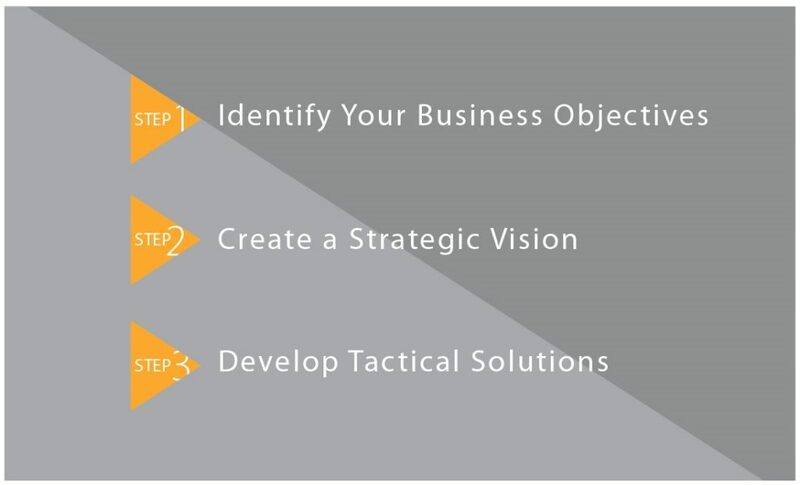 Only after you’ve defined what your business objectives are can you develop a strategy to support them. It’s oftentimes recognizing the need to build brand awareness, credibility and/or stronger relationships with your various stakeholders. With that information, you should now have a good understanding of what tactics will work best to support your strategy. Example: Position your organization as the premier technology start-up in your region, where all the top talent can go to be nurtured and rewarded for their efforts. Strong work-life balance and opportunity to “climb the ladder.” Understand your strategic vision should rely heavily upon credibility and corporate culture given your business objective. The devil is in the details. This is the appropriate time to vigorously brainstorm and research how to execute each of the tactics you’ve identified. Create detailed sections explaining exactly what and how you’ll execute for each tactic, such as media/influencer relations, content creation, social media, community relations and partnerships, awards, speaking engagements, crisis communication, brand reputation, policies and procedures, etc. A timeline is also helpful to stay on track! Example: Keep in mind you should have several tactical solutions to support your vision, but one example would be to research what “Best Places to Work” award opportunities are available within the country’s top technology publications. Poll your existing employees and nominate your organization based on their feedback. Win the award, and in addition to landing a cover-page feature in the publication, you should also tout this accomplishment on your owned media channels and consider paid opportunities surrounding your corporate culture. We recently sat down with Charlotte guru Alicia Thomas! She shared with us how her creative process works, and we ended with her thoughts on self-care. Read on to be inspired and to know who to ask about next weekend’s plans. 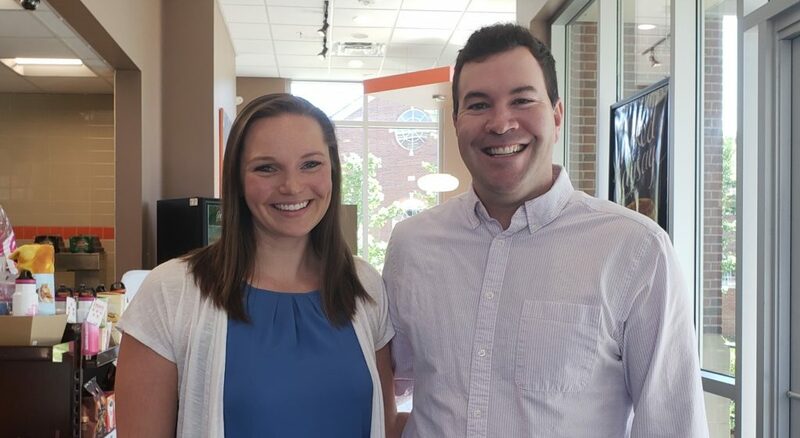 By night, I am the co-founder of Work For Your Beer (WFYB) with Melanie Fox (who we recently interviewed too, here) and by day I am the Sponsored Content Editor for the Charlotte Observer and its subsidiaries – CharlotteFive, Carolina Bride, and South Park Magazine. As the Sponsored Content Editor, I take a company’s business objectives and turn them into original and engaging content that get their message across without looking like a traditional ads, and still providing value to the reader. Sounds very creative! How do you tap into those ideas? At Penn State I studied journalism, and since I graduated I’ve primarily worked in marketing roles — and my day job with The Observer is a perfect blend of the two. I get to write, but I also get to be creative about marketing other businesses to our readers. The same is true of my side hustle. I’m responsible for all of our content on social media, in our Brewsletter, on our blog and on our website — but beyond that I’m also heading up our partnership efforts so we can work with other cool businesses and get our company in front of an audience that likes what we do and wants to know more. Luckily, in both my roles, I am surrounded by supportive teams that are very collaborative. When I am stuck or searching for new ideas, they are always willing to help me work through it. I think it is essential to surround yourself with people who have different skill sets than you, and not to worry about being the smartest person in the room. On both of my teams, we are about collaboration over competition and believe you can learn so much from others’ perspectives, talents and experiences. Learning from others has helped me grow immensely in my career. When you are working with so many different companies and outlets, how do you collaborate? We have learned we don’t need to recreate the wheel. Early on, right after Mel and I launched WFYB, we were hosting our own classes — but we soon realized that there were already so many great organizations out there teaching these classes that we didn’t need to add to that. We just needed to be a resource to educate people on their options, so they could get out to all the awesome events that already exist. And then at CharlotteFive, we’ve occasionally worked with Offline who provides excellent content about events happening in Charlotte. We didn’t feel the need to duplicate their calendar, so a partnership was formed instead. That’s awesome! What recommendations do you have for companies who want to use sponsored content? I think one important thing people often forget about is high-quality photography. People are so visual these days, and we are sharing a lot of what we do on Instagram where a great picture can make or break it. But my biggest recommendation is not to be spammy. The point of using sponsored content over an ad is to engage the customer in an engaging story that they’re going to want to read regardless of whether it is sponsored or not. For example, you’d be much more likely to open an article titled “10 Items Under $50 to Spruce Up Your Home at Target” than something that just says “Spend All Your Money at Target,” right? When I meet with companies to develop their content, I challenge us to figure out what our readers actually care about, rather than focusing on getting their company’s name in the article a certain amount of times. The goal of the sponsored content pieces I write is to sound like you’re having a conversation with a friend, not like you’re listening to a TV commercial. A lot of times, I think about what I would care about if I were engaging with that company, and I start there. With two full-time jobs and working around 90 hours a week, what keeps you going and how do you make time for yourself? At WFYB, one major thing that keeps me going is the feedback we get from our audience. When I get an email saying that someone started working out again because we made it accessible for them or that they were new to the city and found their friend group through the classes, that is really inspiring and heartwarming. It makes us want to keep going knowing we are positively impacting people’s lives. In general, I always recommend finding an organization system that works for you and sticking to it. I live and breathe by my color-coded calendars (both my Google Calendar and my paper planner). Not only do I keep all my meetings and work reminders on there, but I also schedule time with my fiancé, my friends and for myself to recharge. And most importantly, I honor my personal appointments the same way I would a work meeting. (And here comes her quote to remember…) Don’t prioritize your schedule, schedule your priorities. And lastly, (most of us) aren’t brain surgeons. So, if a meeting falls through or something gets done later, the world is not going to end, and people are going to understand; don’t get overwhelmed. Take it one task at a time. From your experience of starting WFYB to growing in your career, what is your advice to others? If you have an idea in your head, just go for it. Try it and figure out what you need to fix as you go. With WFYB, we didn’t realize that we were a directory until a year and a half in! If we had known that at the beginning, some things might have been easier, but we wouldn’t have learned as much as we did have gone through that process. And just talk to people! When creating anything, you want feedback from your audience to understand what they truly want and what you can do better. Also, don’t limit it to just your industry. What has been wildly helpful to me and our business is talking to people in all sectors and learning what their goals are and figuring out how we can work together in a mutually beneficial way. As I said earlier, it’s not always the best to be the smartest person in the room — keep learning from those around you. Crisis often presents itself in unexpected ways, at unexpected times, in unexpected places. Before joining the team here at PivotPR, I had the opportunity to serve as Brand Communications Manager for the U.S. National Whitewater Center (USNWC). In addition to being an incredible place to call my office, the USNWC provided many opportunities to put my PR and communications skills into practice. 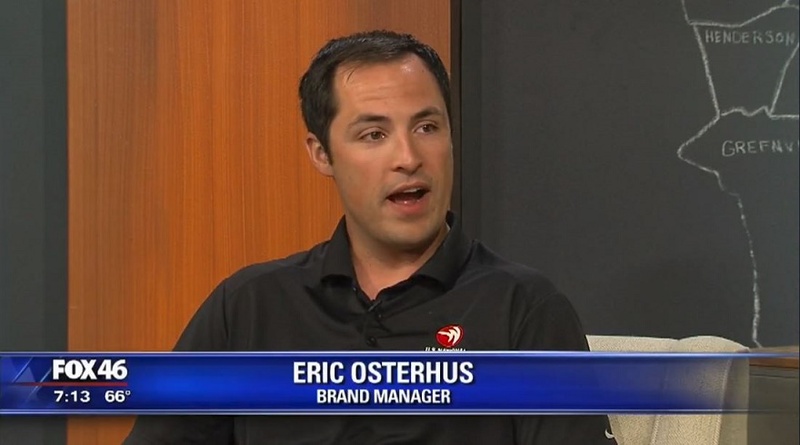 One day I would be pitching story ideas to outdoor industry publications, and the next I would be giving media interviews to promote an upcoming trail race or climbing competition. It also presented a swift and unexpected entry into the world of crisis communications. During the summer of 2016, we received notice of a young lady who had passed away from a rare form of meningitis contracted by a waterborne pathogen known as Naegleria fowleri. The young lady had recently visited the USNWC where she participated in water-based activities, which is how we became associated with the unfolding story. It did not take long for media interest to develop, considering this waterborne pathogen is colloquially referred to as the “brain-eating amoeba”. Whether or not her visit to the USNWC was ultimately connected to her passing, we found ourselves at the center of a media firestorm on a local, national, and international level virtually overnight. Information began surfacing quickly from various sources including the Centers for Disease Control, the Mecklenburg County Health Department, and others. While we were in constant contact with these organizations, media outlets were eager to acquire and disseminate as much information as quickly as possible. Our goal was always to maintain the public’s trust through open dialogue and clear communication. We leveraged a straightforward communications approach which, in hindsight, can be summarized in one very simple word: ACT. Authenticity – Every brand has its own voice, and we were no exception. We knew how we had created our voice through public dialogue over the years, and we felt it was essential to maintain that amid these circumstances. This was no conversation about one of our races or festivals, but it was a conversation between the same organization and many of the same audiences. We were not interested in shifting our voice to meet the scenario, but instead addressing the scenario with the authentic voice our community had already come to recognize. Consistency – In the midst of receiving pressure from various media outlets to provide rapid and immediate responses, we felt the best way to maintain a consistent dialogue was through written statements that we would publish promptly on our website, then distribute through the appropriate channels. This meant the concerned community member would have the same access, at the same time, to the same updates as the national media outlets. Transparency – We continually received updated facts and information, and we were eager to provide them to the people they would impact: our guests and our community. We were intentional about taking the necessary time to collect the most complete and accurate details before drafting a public statement, while remaining transparent with the public by addressing their questions and concerns with the most pertinent information. No company or organization can predict every possible crisis they may encounter. Unexpected circumstances can always arise, but having a clearly defined voice and strategic communications approach can provide an essential foundation when it’s time to act.